This upcoming Sunday is Father’s day. 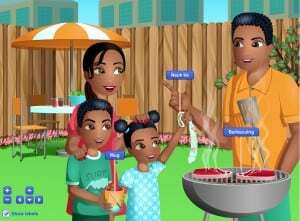 We’ve created an activity which you can use to talk about Father’s day and help your students prepare a nice surprise to let their fathers know how special they are. The activity is an interactive scene about Father’s day which inspires students to create a special gift. We would love to hear your experiences with the Father’s day activity!